We have all seen them. Infographics. These marketing graphics capture our attention due to the simple yet interesting packaging of various types of content, they’re colorful, and have one of the greatest click-through rates of content on the Web. 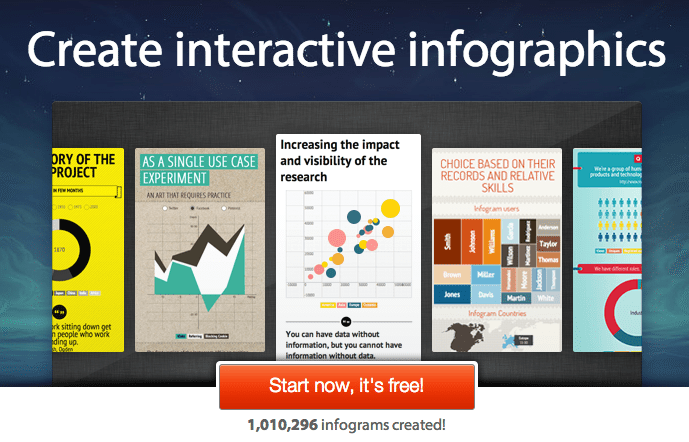 Although we all don’t have a graphic design department, or time and money to spend on custom infographics with third-party providers, Infogr.am provides a user-friendly platform for creating free real estate “interactive” infographics. As a content marketer, it has become more challenging to find ways to capture a mobile and digital audience in a way that is creative. By adding graphics, charts, videos, photos and text among a variety of templates you can create a mobile multimedia graphic for social media profiles, blogs, websites and email marketing, that is all easily shared. Below is a sample infographic that I had fun putting together (with permission from Raj Qsar of Boutique Real Estate Group) using only some of the features available. I did not use the variety of charts or maps. This example is more like a Web-friendly newsletter or quick update. Using their drag-and-drop feature, it’s easy to rearrange items in order, change headlines, add text, and even do some light branding. I love the ability to use interactive graphics to make it even more attention-grabbing. Announce new or just sold listings. Fun, quirky survey results in chart form. Use high-resolution graphics and photos. You can use any video from YouTube or Vimeo. You can upgrade to get access to publish as a PDF or PNG file. You can choose colors on the templates with some of the charts. Upload data from Excel to build charts. Create a library of graphics to edit, reproduce and use. Don’t overuse the infographic. It shouldn’t replace traditional marketing strategies, but every once in while it can be a refreshing new way to share your valuable content.